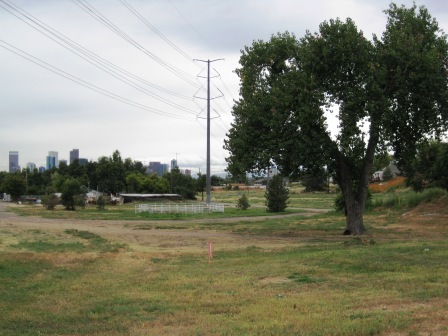 Platte Farm Open Space is a resident-led, 5.5-acre, brownfield-to-park redevelopment project in Globeville, one of Denver’s environmental justice neighborhoods. This project will address multiple issues facing this urban community, including illegal dumping, an overwhelmed stormwater system, and limited access to natural open space. 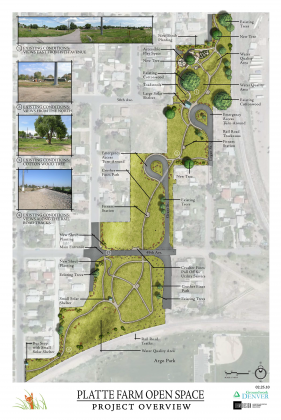 In 2006, at the request of residents and the Globeville Civic Association #1, Groundwork Denver became involved with the visioning, planning, and implementation process for the project. 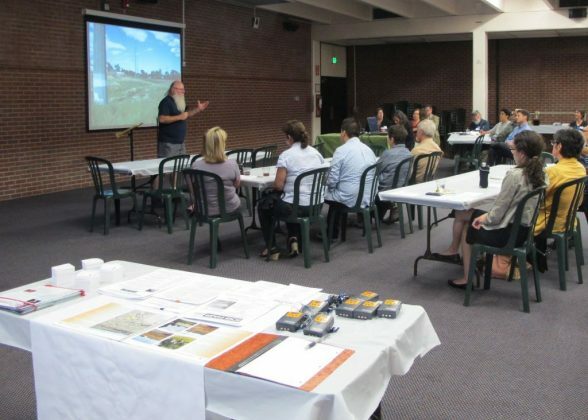 Groundwork Denver acts as liaison between the Platte Farm Open Space steering committee, property owners, and Denver’s Department of Parks and Recreation. Led and designed by Globeville residents, the Platte Farm Open Space project is a prime example of equitable development in action. Resident steering committee members are treated as project managers by Groundwork staff, just the same as project managers who have been assigned by the City of Denver. The City’s understanding of this area has greatly improved as a result of the knowledge and experiences shared by the steering committee. Platte Farm Open Space also demonstrates how to collaborate across sectors and align visions to achieve something that benefits neighborhood residents as well as the City. Over the years, Groundwork Denver has secured funding on behalf of the Globeville neighborhood to continue planning for Platte Farm Open Space. Landscape architects have helped transfer the neighborhood’s vision onto paper. Environmental consultants and survey experts have helped Groundwork Denver conduct due diligence with regard to the many parcels of land that make up the open space. Groundwork Denver has collected hundreds of signatures from neighbors, businesses, and schools in support of implementing Platte Farm Open Space. Through all of these steps, the steering committee helped make critical decisions, create proposal requests, and select various consultants over the years. “Staying power,” as Groundwork practitioners like to say, is critical to ensuring equitable outcomes for residents who bear the burden of brownfields. For the last two years, Groundwork Denver has been negotiating with the City of Denver Parks Department and Xcel Energy, the primary landowners of the Platte Farm Open Space property, over the details of long-term maintenance, property ownership, and stormwater needs. The next step is for Groundwork Denver to begin fundraising for implementation starting in 2016.